Made by KTC (Kyoto Tool), these mechanic gloves are great for the WORK Wheels enthusiast who works on their own vehicle. 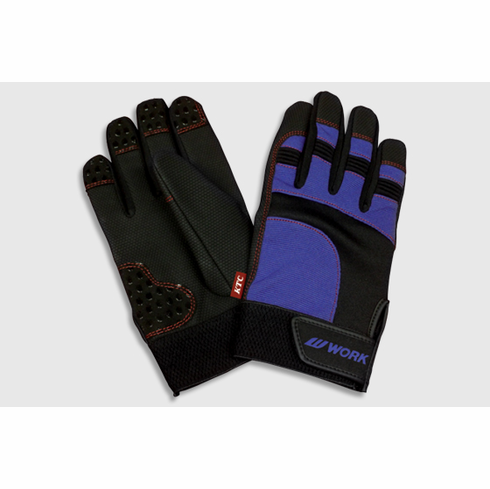 These gloves help to protect against dirt and abrasion, while offering dexterity while working at home or in the shop. The wrist is secured using hook and loop fasteners, which can be adjusted for a secure fit. Textured palms and finger tips allow for grip while using tools. Please note that measurements shown are to be referenced as a guide only. Sizing shown are approximate values to assist in your glove sizing. - Length (A) = measure from the base of your palm to the tip of your middle finger. Then add 1.25" to compare to the glove length shown. 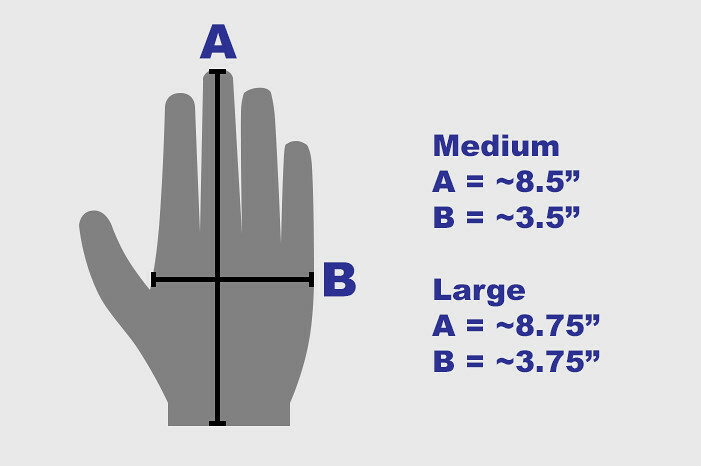 - Width (B) = measure the widest portion of your palm below your knuckles and above your thumb. Note: these gloves run "smaller," so after reviewing the sizing information, you may choose to size up from your normal glove size. If you are in between sizing, it would also be best to select the larger of the two sizes. Please contact us directly before ordering if you have any questions regarding sizing.